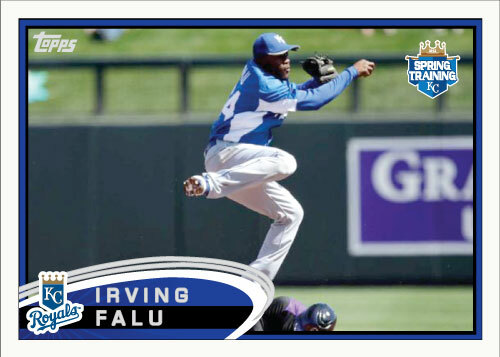 Irving Falu has spent a few years “one call away” now for the Kansas City Royals. He will likely never be a starting shortstop or second baseman in the big leagues over a long stretch but has the potential to be an excellent utility man. The Royals signed Yuniesky Betancourt over the offseason to fill that role so it looks like once again Falu will remain “one call away.” I am not a Yuni fan (like most Royals fans) so I hope Falu finds his way to the majors in 2012. I think he is a more adequate backup for the infield positions than Yuni defensively and that is typically what you want in a utility guy, not offense. 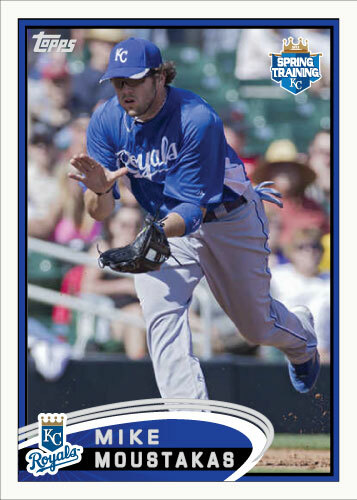 Mike Moustakas is the pivot point for the 2012 Kansas City Royals I believe. The success of the team this years i largely resting on his shoulders. The expectations are too high on a player like Eric Hosmer for the team’s success to depend on him, he is expected to have a good year. Mike Moustakas however had terrible struggles early last year before showing glimpses of the star Kansas City fans think he can become. If he can be a presence at the plate in 2012 it greatly increases the chances of the Royals being able to compete. Even if Moustakas struggles this year, just remember, last year’s opening day starting third baseman was Mike Aviles, and 2010 was Willie Bloomquist before that. So Alcides Escobar was locked down by the Royals today through at least 2015. I’ll just say this: I love this signing. 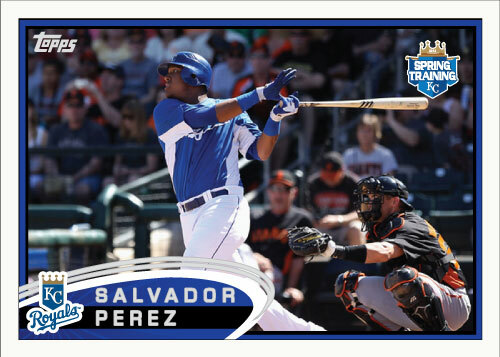 So Here is the first card from my 2012 Topps Royals spring training set. I chose Alex Gordon because he had a home run today and I had to start somewhere. Not being able to make it to Arizona to see spring training, I get ready for the season with this set. Since I’m not in Arizona I take spring training photos from various sources (they are difficult to come by) to make these cards. Among these are Around The Horn KC, KC Star and of course AP photos. Without these sources these cards wouldn’t be possible so I am very grateful for them. So 2012 Spring Training has started and pictures are starting to come in from various sources. 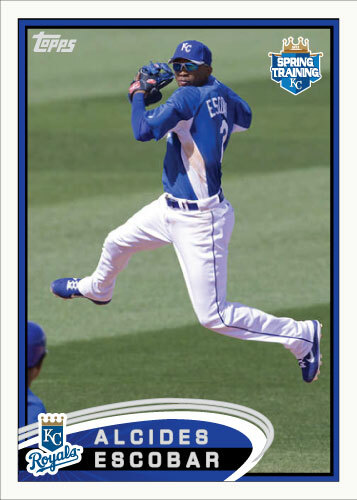 Last year I compiled a 55 card set of custom cards of Royals that were in spring training and it got me very excited for the year. I plan to do the same. 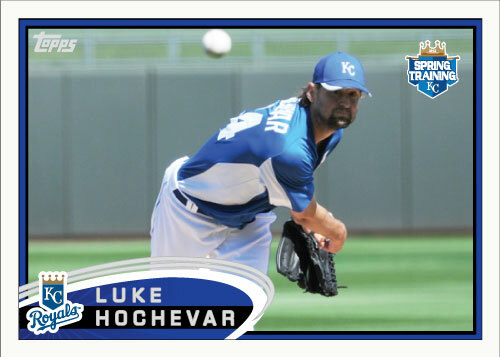 In fact, I have re-designed 2012 Topps already and made a logo to put on each card commemorating that it is the spring training set (something I didn’t do last year.) I will spend today compiling cards and start posting at least one per day until opening day most likely. 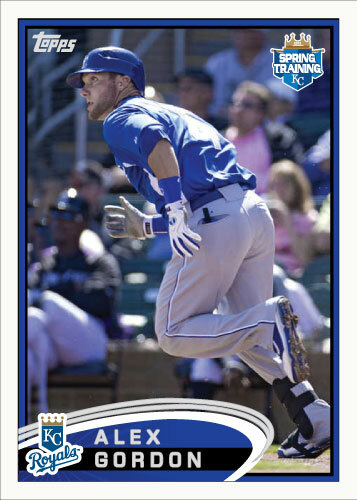 It looks like the Royals have about 58 players in camp so I would like to get about a 50 card set this year as well. I will get as many cards as I can. Opening Day is only 25 days away so many days will have 2-3 cards posted hopefully. I don’t know how much of value I have to say about the players but I might write about many of the cards I post. A word about the logo: Obviously it is based on the 2012 Royals All-Star Game logo, almost the same in fact. I re-created it and have changed the wording from “ALL-STAR GAME” to “SPRING TRAINING” and replaced the MLB logo with a Royals logo. There are a couple other very small differences but they really aren’t worth mentioning. I think the logo looks good and will work well with this set. It’s time to get excited! Baseball season is here!